The Dharma Realm Buddhist Association is committed to being a good interfaith neighbor in a religiously plural modern society. The founder, Venerable Master Hua, encouraged his disciples to avoid any trace of contention or discord among religions, even instructing us to change the name of Buddhism to “the teaching of wisdom,” so that Buddhism would not be perceived as a contending school among the other faiths. For Master Hua, harmony among religions was the first step towards harmony among nations and essential for a just and peaceful world. The Venerable Master Hua strove to bring together the Northern and Southern Buddhist traditions by hosting joint ordination ceremonies, teachings, and retreats. This photo was taken during the European tour in United Kingdom. The Institute for World Religions was established by Master Hua and Paul Cardinal Yu Bin in order to promote mutual understanding among the world’s great spiritual traditions. DRBA members engages in inter-religious exchange through active participation in the United Religions Initiative, the Parliament of the World’s Religions, regular Chan/Zen Buddhist-Christian Dialogue, and more. 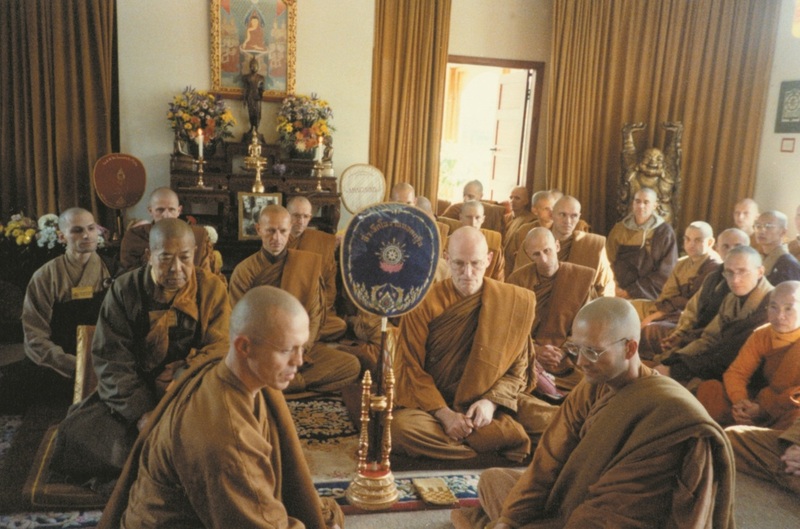 Within Buddhism itself, DRBA strives to bring together the Northern and Southern Buddhist traditions by hosting joint ordination ceremonies, teachings, and retreats.